and whether it's the Best Email Marketing Tool for you! In this Review, you’ll learn everything there is to know about ConvertKit Email Marketing Tool. The EntrepreneursGateway.com Team have carried out a vigorous test in this Definitive Review. How does ConvertKit Compare against the Competition and Ratings and what is it we liked or disliked? Does ConvertKit get the EntrepreneursGateway.com’s seal of approval as being one of the best Email Marketing Tool’s on the planet? Is it easy to use and does it come with lots of features? Not really for the advanced marketers because of its limitations, but great for the basics. Not the most cheapest out there, but then it’s not the most expensive. WIth ConvertKit, it simply doesn’t get any more simple!! Fantastic support, really felt loved! ConvertKit is fairly new to the software market and is a blogger and designer-focused email marketing tool that was built by Nathan Barry. This tool gained popularity by achieving backing from some quite prominent people such as Pat Flynn, with an impressive and memorable tagline of the power of Infusionsoft but easier than MailChimp. In this section, you’ll discover which method ConvertKit uses with list segmentation to ensure that you offer the right products to the people that are interested in them. This email marketing tool is based around the ideas of tags, which is of course, the most efficient way that you can manage both your subscribers and in running your automations. ConvertKit allows you to apply your tags based on your subscriber’s behavior. If your contact was to click on a specific link within your email, you are able to then specifically target them later on. By using merge tags, you have the ability to create and send dynamic emails, which means it’s possible to send an email which displays according to any tag that’s applied to each of your subscribers. ConverKit has now released ‘ConvertKit WordPress Plugin’, making it possible to track your visitors when they are on your website, and then assign tags appropriately. Before the plugin was introduced, this was a huge issue for me, and I found it practically impossible to be able to add behavioral tags to determine how users interacted with my website. Verdict: Happy so far with ConvertKit’s tag-based system. Automation is the main reason why people use email marketing right?…..Can ConvertKit automate your marketing to save you time and increase your profits? ConvertKit’s marketing automations manager is very simple to use. Having introduced their visual workflow builder, it’s very much the same as Drip and ActiveCampaign. And guess what, this is what I think really sets this apart from its competitors; their rules builder! #2. I think this was a huge step and what really put Convertkit on the map, this simple trigger then action combination is super easy to use. Each automation rule is shown like this. This is as sleek as you could possibly hope for, and so much better than any other platform. In short, I can honestly say this was a real pleasure to use, displaying all of your workflows within the context of what your outcomes are in achieving in your business. The thing that’s so great about the new builder, is all things will happen inline, meaning precisely within the workflow. From adding both forms and emails. This really does take ActiveCampaign and Drip down a peg or two. Verdict: ConvertKit is not all about building laborious and difficult automation, it’s the speed and effortlessness that makes this so appealing to start with. So how does ConvertKit manage it’s split testing capabilities? How can it improve your goals and conversion rates? We put it to the test….. If you are someone who sends out emails, then you will know that something as simple as just a few different words within your subject line can have such a significant result on the success of an email. Unfortunately, this isn’t the case for Convertkit. It only gives you the option to test your different subject lines. 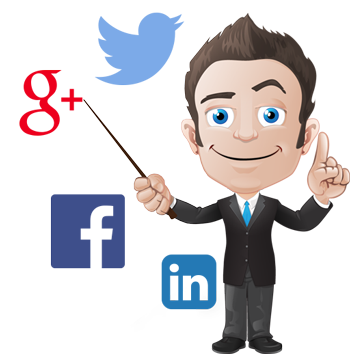 To really get the benefit, it needs to test for email content, delivery time and automations. This I feel lets it down a little. Verdict: If you are wanting best results from split testing, then ConvertKit will let you down I am afraid. Almost every email marketing tools have their own form builder. But…..are ConvertKit’s form building capabilities enough to help you to build your forms seamlessly to ensure your leads are captured through whichever method you use? Without a form, you can’t collect emails, so this is why email marketing tools allow you to be able to build them. I was impressed with this feature of ConvertKit. As you can see, it’s pretty easy to create them. The only thing that let it down was the design of them. Their customization options weren’t mind-blowing. You will also need to understand CSS if you want to change anything other than the color. You also have the ability to build landing pages, however, with the same limitations. So how does ConvertKit compare when it comes to their choice, design, customization and responsiveness of their email templates? Not really sure where I should begin with this one!!! This is really all you get with ConvertKit in terms of their email templates. If you can code, then at least it has the options to hard-code your own templates! They do provide variables though, which you can be inserted into your email templates, making them more dynamic. Verdict: You will find it hard to design and customize your emails if you don’t know how to code. You will have to choose between going with ConvertKit’s more straightforward email templates, or fancier ones that don’t convert! ConvertKit is still a newbie in this market, so I wasn’t sure what to expect. It is supported by Zapier, which will open doors to hundreds of other integrations. By concentrating on integration, it does help bloggers to focus on what their blog is built for, and what their readers genuinely want. Under Automation, you can find Integrations. This is where you are able to connect your list with numerous services such as Leadpages, WordPress, Shopify, Webinar Ninja and other services. This will help to easily merge your lists into one, creating the opportunity to be able to reach out to your subscribers from other services connecting to your business or blog. Verdict: As ConvertKit is new, it has limited integrations, however the most common ones are available. How does ConvertKit rate at being able to review its data analytics so that it helps you to improve the overall effectiveness of your email marketing and also improve your profits?….. This isn’t something ConvertKit is really known for, but I think it stayed true to being simple to use. You can see your subscriber acquisition for the past 30 days, with the ability to filter it around specific periods of time. That’s about all though. It’s great how it can break down varied forms or entry locations, this not only will show in the major bar chart, it will also show in an individual area woohoo!! And there are reports possible for sequences, or autoresponders. But it’s not amazing. Verdict: For those marketers who really want to delve deep, then this isn’t the right choice of email marketing tools for you. Not long after signing up to ConvertKit, you receive an email, and you even get a welcome video pretty impressive ha! I know this doesn’t constitute support; however, it shows me that they are serious about their product, and value you as a customer, which I like. Convertkit claims that they will respond to an email on an average of 1hr 15 minutes, which is fast. The live chat which was recently introduced is something I think most people look for when wanting support, and these options are straightforward to navigate, helping you to get the information you need as quickly as possible. ConvertKit offers a broad Knowledge Base, and you can access articles to walk you through everything from getting started to API. They are categorized with a search feature making it easy to find what you are looking for. There is also the option of community-based support which allows you to join a community Facebook page or slack channel. Some workshops are available and taught by ConvertKit experts, that run throughout the year, focusing on various topics to help you achieve what you want and answer your questions. Verdict: They obviously take their support seriously. Well done ConvertKit. If you have a bigger list, then simply calculate the monthly fee! It’s also a shame that they don’t offer you a free trial, but you do get a 30 day money back guarantee, so if it’s not right for you, you will get a refund! Please note that unfortunately, AWeber wouldn’t let me test with GlockApps. Extremely frustrating! 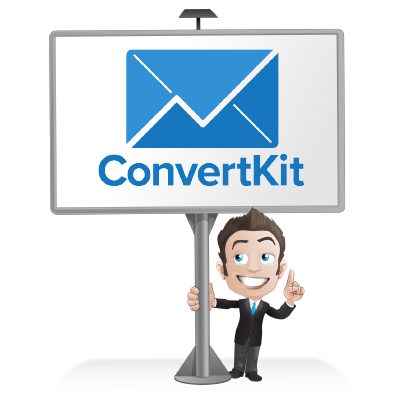 Is ConvertKit The Right Email Marketing Tool for You? So, ConvertKit may not be the right tool for everyone, so let’s get to the bottom of precisely who this tool is suitable for. 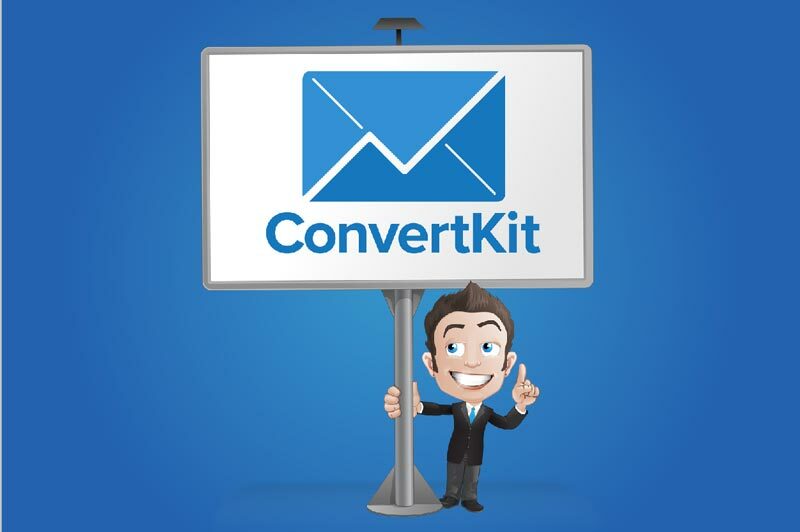 If you wanted email marketing on a tight budget, then ConvertKit isn’t that friendly. In fact, it’s a little higher priced than that of its competitors. Let’s see the numbers, based on the lowest plan for others out there in the marketplace. So, if you were starting with a budget in mind, then you may be better off with Mailchimp or Drip, as they both offer great, generous free plans. Well, it claims it is…..
Well it is a great platform for bloggers because of it’s simplicity and it saves a lot of time. With it’s simple to use editor and automation rules, it’s a great tool! So, to be honest, I would say yes!!! I mentioned earlier that ConvertKit claims that they are as easy to use as MailChimp and yet has the power of Infusionsoft! Only half of the truth! ConvertKit does lack in areas where you would miss if you were an advanced marketer. I mentioned the A/B testing, the templates and advanced triggers and actions for automation. ConvertKit simply doesn’t offer this. If this is important to you, then why not read our review on Drip or ActiveCampaign . It’s great that I got the chance to review ConvertKit. Basically, if you are just starting out, then I think it’s perfect for you, but with too many restrictions, I feel that it wouldn’t be my number one choice. Hopefully I have helped you understand what its capabilities and flaws are so that you make the right choice! Are you going to purchase ConvertKit or are you already using it? Feel free to leave a comment below and we’ll see if I can help…. or check out the other reviews like MailChimp or AWeber.